When you decided to go solar with your outdoor lighting it can save you a lot of money. Many of these outdoor solar powered wall lights are great for the garage, front doors, sheds or general outdoor lighting. They are durable and hassle-free. There is no need to run electrical wires. All of these solar powered lights come with LED lights which provide long hours and bright light. LED lights also consume much less wattage than regular lighting which allows for more efficient battery usage. So the batteries in the lights will last much longer between solar charges. All of these lights use motion detection to turn on and off. Some have a useful feature for dusk and dawn settings which allows the lights to come on during the night and shut off during the day. The Hallomall Bright Outdoor Solar Lights have an efficient solar panel that will charge the battery light in about 8 hours. Each light has 6 LED’s which provide 100 lumens of light. 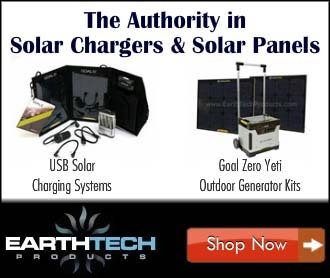 The solar lights can run continuously up to 12 hours when fully charged. Batteries are included with each light. These lights have a motion detection option that can be activated. Each lamp throws off an incredible amount of light. The lights are easy to install with one screw installation. You can make your house more secure with outdoor solar lights. They will provide illumination around the dark areas of your home. They are very well constructed and are a great value for the money. The URPOWER Solar Lights are excellent lights for the pathway, driveway, deck or dock. They are easy to install. Just place the spiked light into the ground and direct the light to the desired direction. No wiring is required. They can also be hung by removing the stake and screw mounting them to a wall. These lights have two modes high and dim light mode. Each light provides 200 lumens of light and is powered by a 22oomAh rechargeable battery, which will last up to 9 hours before needing a solar charge. The lights will automatically turn on during dusk and shut off at the first sign of daylight. Each light has a brightness setting which lets you control the brightness level. They are well constructed and very bright. The InaRock 44 LED Solar Light is a powerful and bright option for an outdoor space that needs plenty of illumination. This light features 3 modes: strong long light mode, dim light sensor mode and strong light sensor mode. This light has 44 LED’s which will throw off an impressive 1600 lumens. You can easily mount this with only 4 screws. The InaRock is weather tight and sealed. The light comes with a 2200mAh rechargeable battery which will last continuously for 10 hours. This one fixture should provide enough light to brighten up any outdoor space. 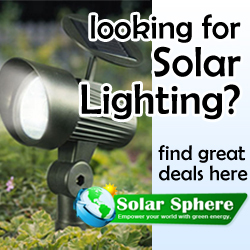 All of these outdoor solar powered wall lights are a great way to save money. Why run electrical wires if you can harness the sun. If you need a cost-effective solution for adding outdoor lighting, then these lights are for you.